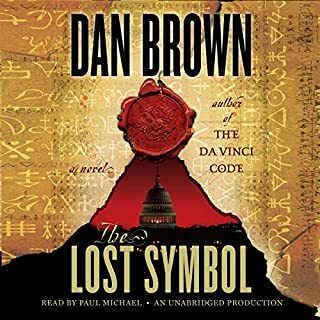 Would you try another book from Dan Brown and/or Paul Michael? Appropriate but it went 7 chapters too long. Do you think The Lost Symbol needs a follow-up book? Why or why not? No. Absolutely not. Its too long as it is. Dan brown has given us just what we expected but, much like M. Night Shyamalan, he has painted himself into a corner. When your early work is extremely successful and you try and duplicate that formula exactly, your audience is disappointed when the new work does not have the same twists, turns or aha! moments. So its best to perhaps pursue other work, cleanse the palate and address anew the things your built-in audience wants/desires. The problem with the Lost Symbol was that the book itself came off as 50% exposition and 50% true narrative. So much time was spent explaining the arcane in an attempt to link so many disparate items that when the final reveal of the secret behind the "masons and the lost symbol" the reader is no longer interested nor awake. At times entire chapters came off as interesting as a university lecture on art history held at 7am. Too much, too dry, too early. Unless you're a die hard Dan Brown fan, its best to give this one a pass. Yes. 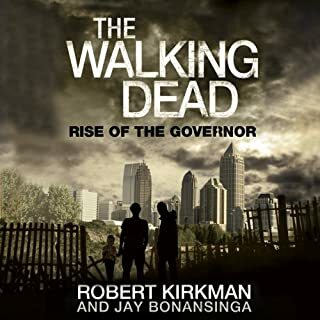 If you're a fan of the graphic novels or just caught the bug from the TV — you'll eventually run across the "Governor" in the story lines and this book fills in the back story. SInce it is a story about zombies, the author expertly describes each encounter and destruction of the Walkers in a way that kept the narrative from growing stale. It sounds/reads as if the authors did their forensic research and that only adds to the drama of this story. Also unlike Hollywood movie productions, this books pulls no punches (no pun intended) and all characters are vulnerable — which makes for a more satisfying and rewarding listening/reading expereince. Fred Berman added an extra dimension of drama, heartache and action to the written words by physically inhabiting all of the characters in the book, making the listening experience a delight.This is what old radio shows must have been like when the producers allowed you to create the images in your head while augmenting the narrative with the requisite audio cues. For content yes, for performance no. 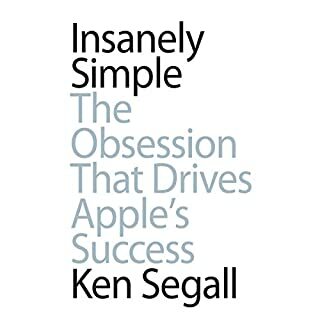 The narrator shows his naïveté and his ignorance of the subject matter by mispronouncing the jargon of the subject matter, saying OS "X" when any Mac enthusiast knows its pronounced OS Ten regardless of how it is spelled. It happens multiple times throughout the book across several technology terms including "iOS" which I cant even begin to explain how Dylan Baker butchers. This in turn, pulls the listener out of the narrative and insults those who live/work/play/benefit from the technology sector. Its like hiring a layman to narrate a medical book and spelling out A-I-D-S versus pronouncing "AIDS." Furthermore, it sounds like Dylan Baker is not enthusiastic about the subject matter and in his performance it shows. The narration is slow, the cadence off-putting and the delivery destroys what is otherwise an interesting book. Halfway through the audio book, I had to throw in the towel and buy the actual printed book to salvage the experience. Listeners would have been better served if the average mac enthusiast or a celebrity mac enthusiast (maybe Richard Dreyfuss?) had read this instead. Would you be willing to try another one of Dylan Baker’s performances? 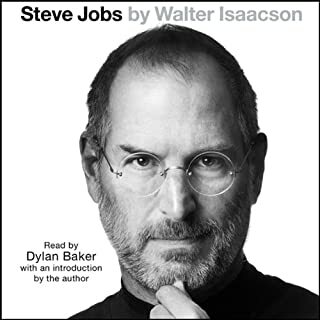 Do you think Steve Jobs needs a follow-up book? Why or why not? There's nothing left to tell unless you're covering other aspects of the man, mythos, or the company. Please have your narrators be versed in the jargon of whatever technology / subject of the book they are narrating. Incorrect or otherwise uninformed pronounciations of key words breaks the spell of the narrative.